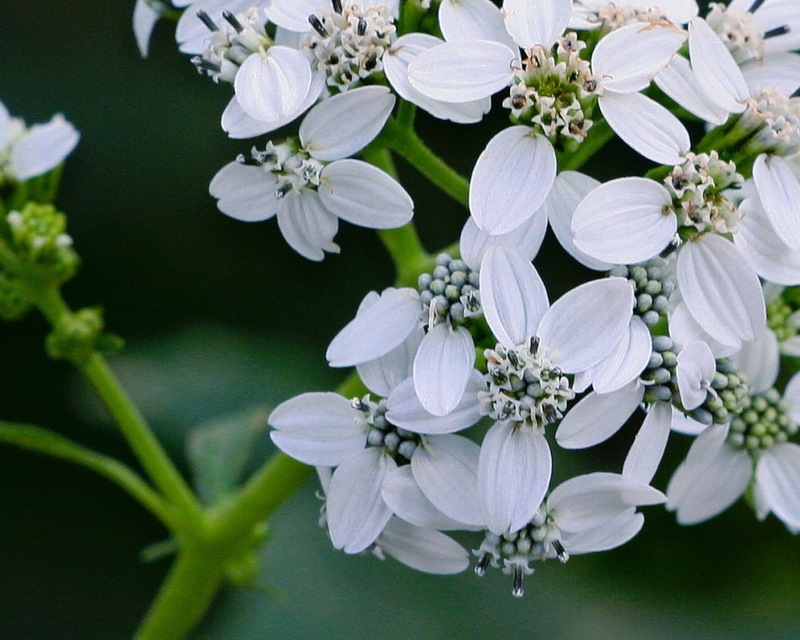 Frostweed is a robust, herbaceous perennial wildflower that bears clusters of white ray florets and white disk florets with noticeably contrasting purplish-black anthers. Its leaves are dark green with rough surfaces and toothed margins and are oppositely arranged. Its stem is distinctive in that it has wing-like flanges running along its length. Frostweed typically flowers late summer through fall. It occurs naturally along moist forest and hammock edges throughout the state. It is attractive to many bees, butterflies and other pollinators. The name “frostweed” comes from the plant’s unique habit of exuding water from its stems during times of frost. 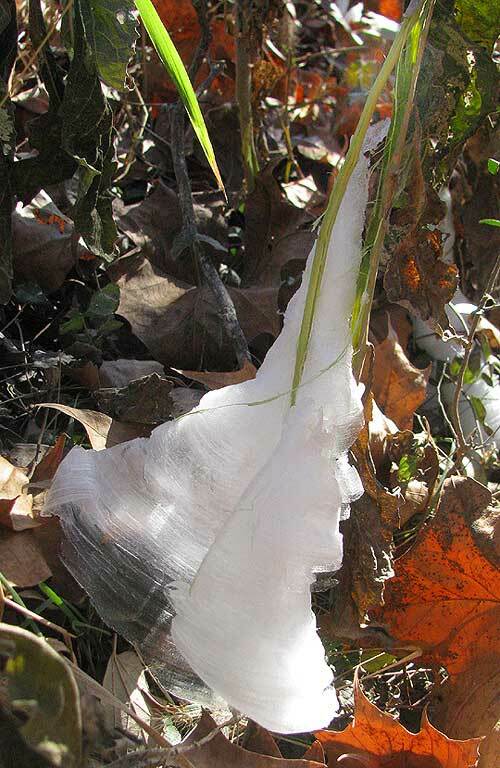 The water freezes and produces interestingly shaped ice “sculptures.” Other common names are white crownbeard, iceplant, iceweed, Virginia crownbeard, and Indian tobacco, referring to how Native Americans smoked its dried leaves like tobacco. To see where natural populations of frostweed have been vouchered, visit florida.plantatlas.usf.edu. Garden tips: Frostweed is not for every landscape and is best in a naturalized setting. Although it is versatile in its soil and light requirements, planting frostweed in dryer soils and with exposure to more sun will help keep the plants smaller and more compact and will encourage more blooms. Otherwise, plants may have a tendency to grow tall and appear weedy when grown in wetter conditions. Removal of spent seed heads and annual pruning are also recommended. 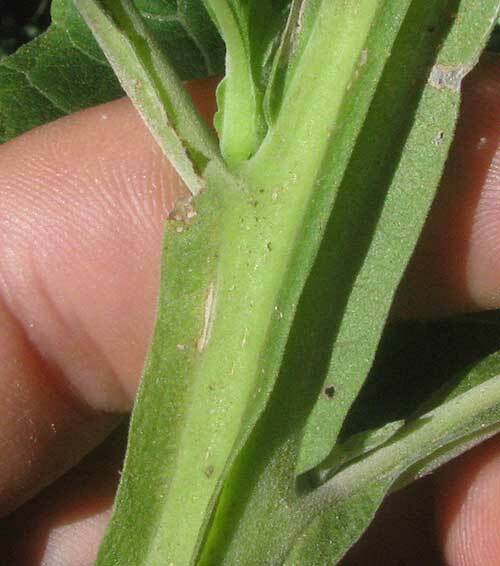 Frostweed is best propagated by seeds, although plants can be divided when dormant (winter). Frostweed seeds are available through the Florida Wildflowers Growers Cooperative.